Varna, Bulgaria - February 11, 2015: Top View Of Apple Products.. Stock Photo, Picture And Royalty Free Image. Image 39008947. 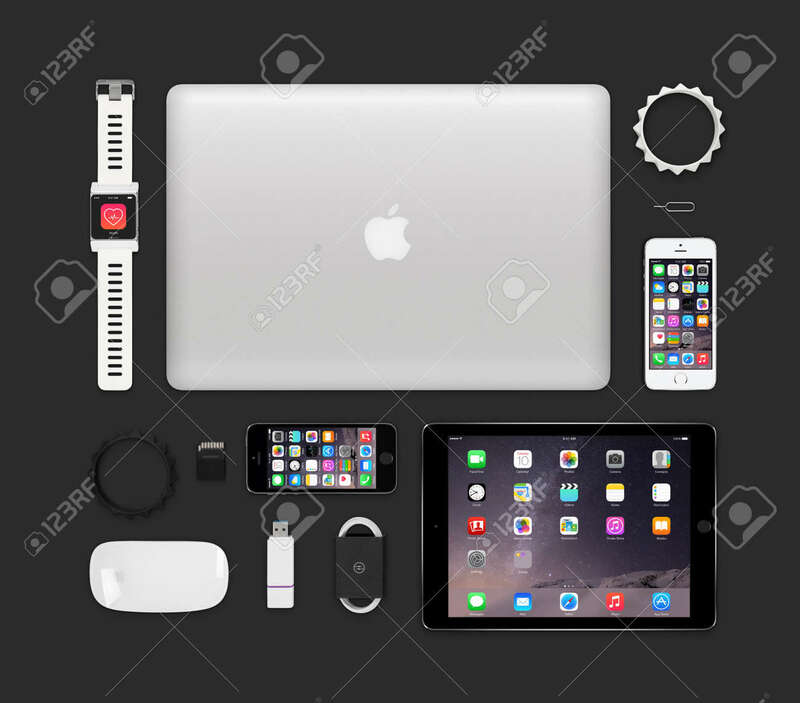 Stock Photo - Varna, Bulgaria - February 11, 2015: Top view of Apple products tech mockup that includes retina macbook pro, ipad air 2, smart watch concept, iphone 5s, magic mouse, flash drive, bracelets. Varna, Bulgaria - February 11, 2015: Top view of Apple products tech mockup that includes retina macbook pro, ipad air 2, smart watch concept, iphone 5s, magic mouse, flash drive, bracelets.